Build up your own modular organization system. A lot of tool boxes are already built with modular sections in mind: there might be different compartments for holding different sizes of screws and nails, and drill and screwdriver bits come in specialized holders so you can arrange them by size and know at a glance which one is already in place (or which ones are missing). Most importantly, these different containers inside the box aren’t locked in place; you can take out the ones you need, completely remove the ones you don’t need, and reorganize them to suit your workflow. You’ll want to do the exact same thing on a larger scale with all of your tools. 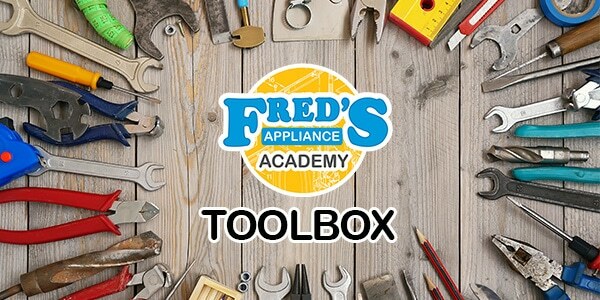 Inside your larger box locked into your truck bed or in the back of your van, fill it with smaller tool boxes that each fulfill a particular function. This might include a general tool box with a range of nut drivers, your voltmeter, and screwdrivers. Then you might have a selection of tool boxes dedicated specifically to pipe tools that can cut through PVC or the different pots of sealants, a tool box for coil brushes and refrigerator tools, and so on. This means bringing only one or two smaller boxes into a customer’s house, which makes packing up quicker and leaving things behind much less likely. Using some sort of individual marking system helps you differentiate your tools from any your customer may have left around: whether it has your business’s name, a dot, or even a symbol written in Sharpie, it makes clean-up easier. Some companies even use this to their marketing advantage. 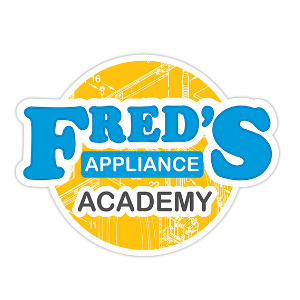 For small things like pencils, notes with a specific phone number for customers to call if something goes wrong, or PVC caps that you leave behind, a little advertising goes a long way in securing repeat business. Other tricks you might use are wrapping the ends of your screwdrivers, meters, and cutters in glow in the dark or neon tape: not only can you mark different sizes different colors for easier identification, you can keep track of them in dim lighting when you’re working under the sink or in a utility closet. Keep backups of tools that you use frequently or that are easy to lose. Things will get lost no matter how well you keep track of them, or they break apart after years of use. The Phillips head screwdriver that you bring into every house will eventually get left behind, and you might reach for a wire cutter only to realize it’s not there anymore So always carry backups of your regular tools. This means you don’t have to inconvenience customers by leaving to go get a replacement (or borrowing their’s) and it also saves you money: tools you buy in advance or in bulk are always cheaper than tools you buy because you need them immediately. No matter how you choose to organize your tools, always make sure you have what you need on hand. 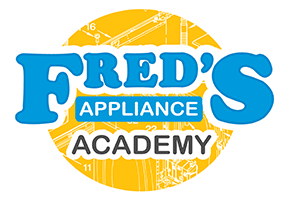 Go to Fred’s Appliance Academy for a list of essential tools for every contractor, as well as tips for tool maintenance and courses to widen the scope of your appliance repair business.